Every holiday season brings an opportunity to share your love and appreciation for friends and family through the timeless tradition of sending holiday cards. Luxury Christmas Cards by Colin Cowie are as beautiful and unique as the many relationships you wish to celebrate during this special time. Find the perfect holiday cards to fit your style and personalities, whether you’re recently engaged and sharing the good news or newlyweds sending our first Christmas card. The Colin Cowie Collection holds a treasure you’ll remember for many holidays to come. Looking for more photo card options? 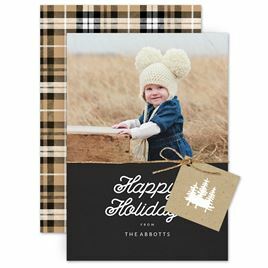 Browse our entire collection of holiday cards and find the perfect photo holiday card!